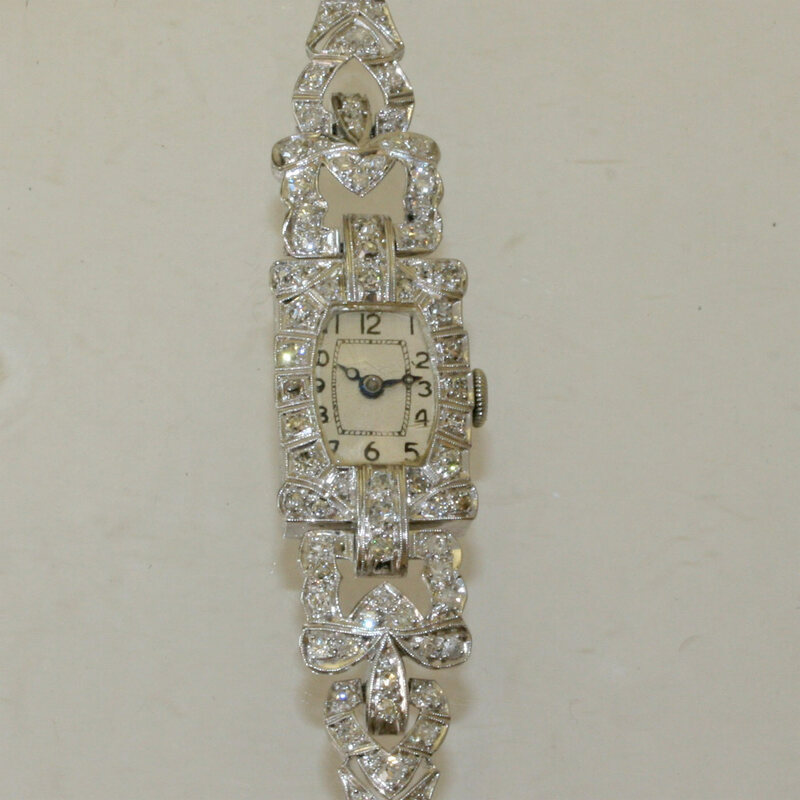 Platinum Art Deco diamond watch. Product code: 819 Categories: Sold Items, Sold Watches. Here is a stunning watch made in platinum from the Art Deco period of the late 1920’s. Set with a manual wind Swiss movement that keeps perfect time, this is a watch that just shines at night. Perfect for any lover of Art Deco jewellery and watches, this one should not be missed out on.